Hatshepsut was not the first queen regent in the Eighteenth Dynasty. It is possible that Hatshepsut knew of several reigning Egyptian queens before the Eighteenth Dynasty, but there is no evidence of it. There were some images of Sobeknefru that survived into Hatshepsut's time. But she surely knew of the record of the women of the Eighteenth Dynasty, of which she was a part. The founder of the dynasty, Ahmose I, is credited with re-unifying Egypt after the time of the Hyksos, or foreign, rulers. He recognized publicly his mother's central role in holding power until he could reign. She was Ahhotep, sister and wife of Taa II. Taa II died, probably fighting against the Hyksos. Taa II was succeeded by Kamose, who seems to have been a brother of Taa II, and thus an uncle of Ahmose I and brother of Ahhotep. Ahhotep's coffin names her as God's Wife -- the first time this title is known to have been used for the wife of a pharaoh. Ahmose I married his sister, Ahmes-Nefertiri, as Great Wife, and at least two others of his sisters. Ahmes-Nefertiri was the mother of Ahmose I's heir, Amenhotep I. Ahmes-Nefertiri was given the title God's Wife, the first time it's known that the title was used during a queen's lifetime, and implying a major religious role for Ahmes-Nefertiri. Ahmos I died young and his son Amenhotep I was very young. Ahmes-Nefertiri became the de facto ruler of Egypt until her son was old enough to rule. Amenhotep I married two of his sisters, but died without an heir. Thutmose I then became king. It's not known whether Thutmose I had any royal heritage himself. He came to the kingship as an adult, and one of his two known wives, either Mutneferet or Ahmes (Ahmose), could have been sisters of Amenhotep I, but the evidence for either is slim. Ahmes is known to have been his Great Wife, and was the mother of Hatshepsut. Hatshepsut married her half-brother, Thutmose II, whose mother was Mutneferet. After Thutmose I's death, Ahmes is shown with Thutmose II and Hatshepsut, and is believed to have served as regent for her stepson and daughter early in Thutmose II's short reign. Hatshepsut thus came from several generations of women who ruled until their young sons were old enough to take power. Of the Eighteenth Dynasty Kings through Thutmose III, perhaps only Thutmose I had come to power as an adult. As Ann Macy Roth has written, "women effectively ruled Egypt for almost half of the approximately seventy years preceding Hatshepsut's accession." (1) Hatshepsut in assuming the regency was following in a long tradition. Note: (1) Ann Macy Roth. "Models of Authority: Hatshepsut's Predecessors in Power." Hatshepsut: From Queen to Pharaoh. Catharine H. Roehrig, editor. 2005. Aidan Dodson and Dyan Hilton. The Complete Royal Families of Ancient Egypt. 2004. Joyce Tyldesley. 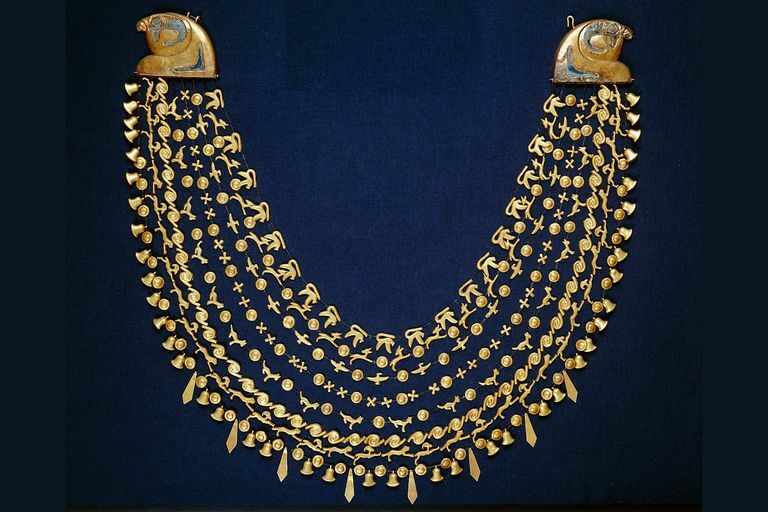 Chronicle of the Queens of Egypt. 2006.